Kieran Brown. Picture: Dean Woolley. 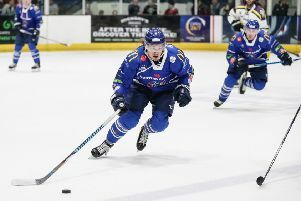 The apprentices may have found ice time difficult to come by with the Elite League club this year, but will have a chance to showcase their skills on a wider stage when they take on Austria, Italy, Japan, hosts Hungary and Slovenia between April 14-20 following their promotion from Division II last season. The teenagers have come through the Bradford Bulldogs youth system in recent years, with 17-year-old in the second season of his apprenticeship with the five-time Elite League champions and Griffin, 16, taken on board by former Steelers' head coach Jordan Griffin. Both have played the majority of their hockey in the NIHL this season, Brown initially with Blackburn Hawks before he was switched to Sutton Sting where Griffin has been developing his game since August. Brown and Griffin are joined by another former Bradford player in the shape of forward Jacob Lutwyche, who is currently playing at Ridley College in Canada. 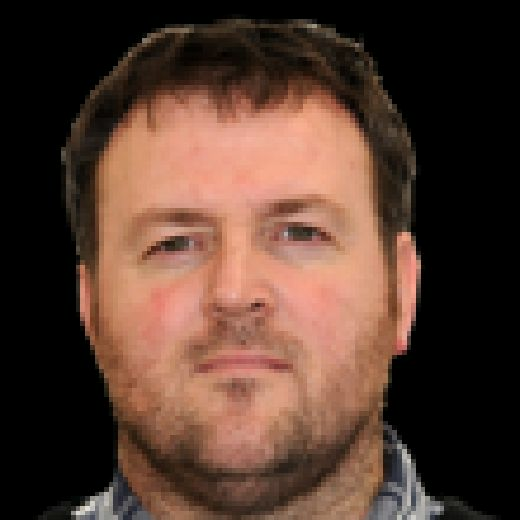 GB Under-18 head coach Martin Grubb said: "The competition for places was intense, so there were no easy decisions to make about squad selection. The final camp in Dumfries was excellent and it was great to see the talent we have in the junior programme at the moment. Jordan Griffin. Picture: Dean Woolley. "I think we have a very competitive roster with talent across all areas from front to back. After seven seasons in Division II, it is fantastic that the lads will be up against teams from Division I this year." Full squad: Netminders - Lucas Brine (Northern Cyclones USA), Will Kerlin (OHA); Defence: Bradley Bowering (Peterborough Phantoms), Ed Bradley (CIHA Canada), Callum Burnett (London Raiders), Reece Cochrane (Fife Flyers), Jordan Griffin (Sheffield Steelers), Joe Hazeldine (Nottingham/Telford), Ethan Reid (Murrayfield), Liam Stenton (Solway Sharks); Forwards: Mason Biddulph (Islanders Hockey Club), Kieran Brown (Sheffield Steelers), Louis Chabot (Nepean Raiders), Ethan Hehir (Billingham), Lewis Houston (Solway Sharks), Scott Jamieson (Fife), Patrick Larkin (Nepean Raiders), Jacob Lutwyche (Ridley College), Austin Mitchell-King (Hill Academy), Cade Neilson (Yarmouth Mariners), Reed Sayers - (Okanagan), Sam Talbot (Slough/MK Thunder).